Whatsapp messenger as known is the largest social messaging app according to global statistics. It’s a very handy messaging application that can be used to reach out to friends, family and business colleagues. However, most users still need an automatic reply for all their whatsapp messages while away. The automatic responder features for whatsapp messages is a very brilliant feature. This makes those who message you feel your presence when you are away. You can call it a chat bot, which analysis message sent to you and give your recipients a corresponding feedback. In most cases, you just need to setup rules while you are away. You make an input on what respond your friends get on incoming message, I call this setting rules. However, you get to select contacts for automated response (maybe business contacts or related). Since you are connected to many on whatsapp, I advise you go with this. 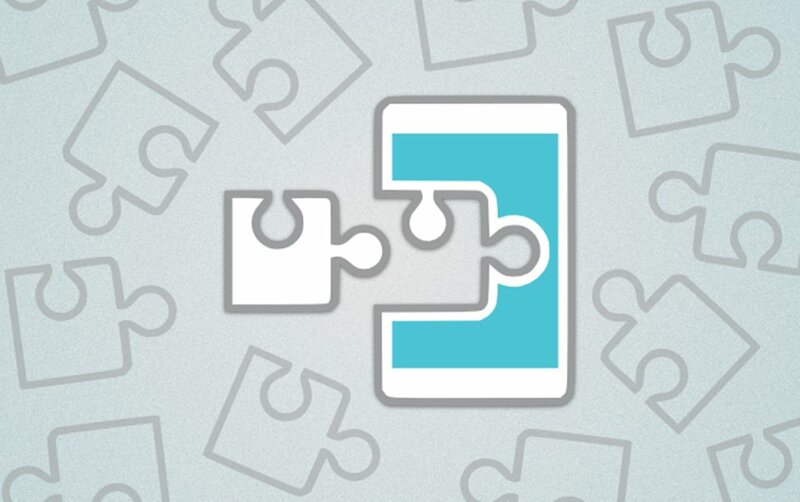 In this guide, I’ll be revealing 2 proven methods to automatically send whatsapp messages on both rooted and non-rooted android devices. I just need you to take your time and go through every details of this content, I believe at the end of reading the content; you would’ve learnt something new. 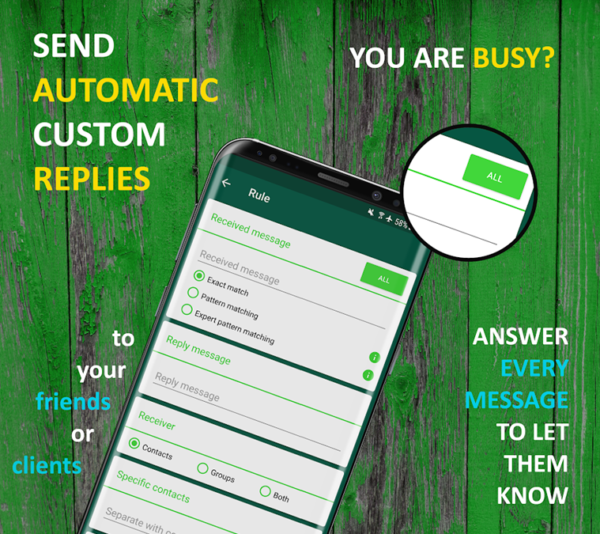 Autoresponder for whatsapp is a common auto reply bot used on rooted android devices. 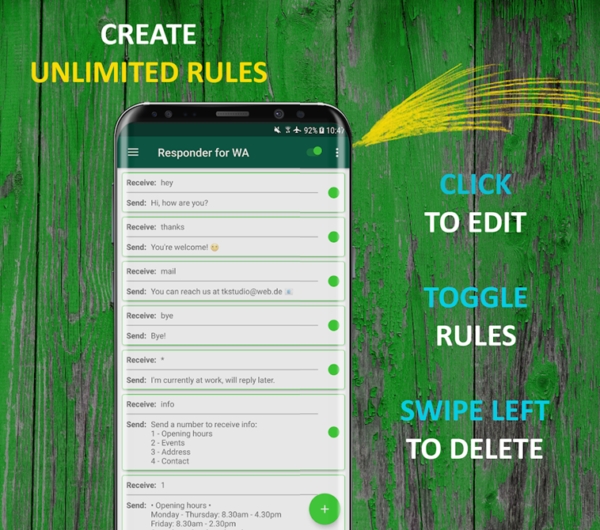 This app helps send automatic custom replies, create unlimited rules for incoming message and response, customize rules for individual contacts, reacts to every incoming messages, send replies to specific messages, welcomes new chats, ignore and specify contacts and groups, backup rules and lots more features. 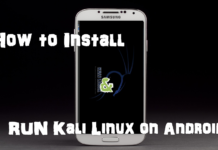 In other to make use of this app, all you need to do is root your android device. After that, you go to playstore and search for “Autoresponder for whatsapp”, as seen in the image below. Install the app and launch. 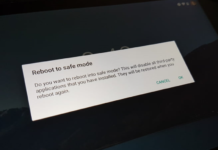 After launch, the app would request for root permission, please grant the app access to root and get over with whatever settings needed for the app. simply go to “settings” on the app to turn on “ChatBot Lite”, navigate back and set your rules. Just as seen in the above image, you get to select contacts (maybe all or specific), insert received message like “hi” you can select exact match option or pattern matching so when related message is received, user get same reply. Also set replies for received message like “hi, how are you?” you need to set as many rules as possible for any received message, I prefer using pattern matching so receiver gets same reply for related incoming messages. You can also reply to every incoming message just in case you are busy. The “All” feature is also embedded on the application. You also get to create as many rules as possible as seen in the image below, alongside editing rules, and deleting selected rules if necessary. Time to time, when you get to master the app, you discover more features and tools. Program your chatbot the way you want it to work for you and also don’t forget to back up your rules. 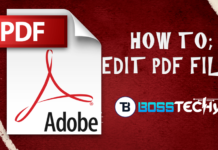 If you own a non-rooted android device, then I advise you implement the second method. Whatreply is an alternative to autoresponder for messages. 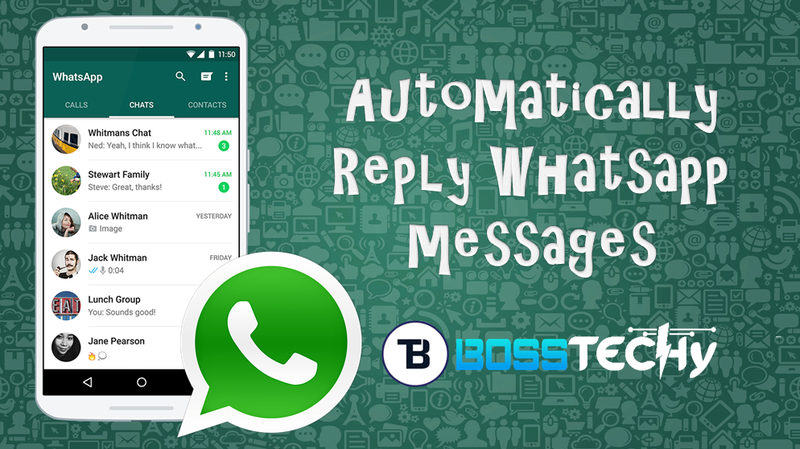 The app is used to set automatic replies for every incoming messages on your WhatsApp. Unlike autoresponder, this app don’t include advanced tools embedded on it. This is more reason you should use your android device. I advise you take a good look at the benefits of rooting your android devices. Anyways, whatreply serves primary purpose, which is giving an automatic responds to every message. You get to set your rule for received and replies and also some few other setups needed to keep going. All you need is, search “whatsreply for whatsapp” on playstore, as seen in the image below, download and install on your device. No root is needed to keep the app going; simply grant the app “read notification permission” set auto reply for all messages and add message alongside reply text dialog. 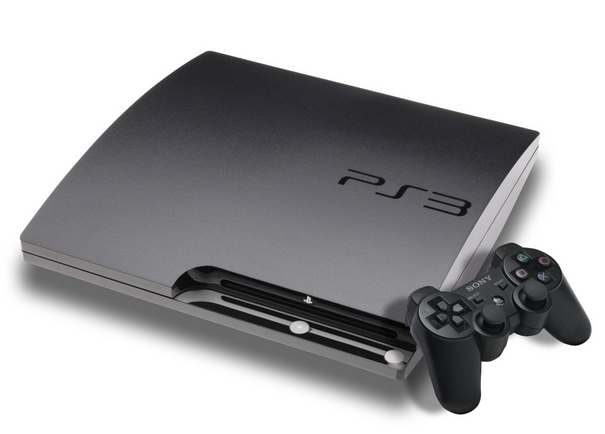 The application setup is simplified and user-friendly. So get handy use of the app and setup auto response for your messages. Just in case you need any assistance, or elaboration in some certain stage on usage of the app, please do let me know via comment section.